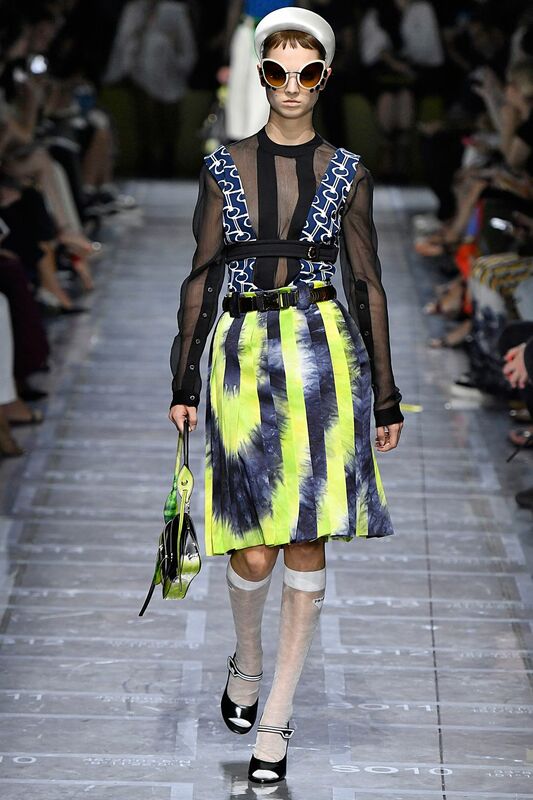 Tie Dye is one of SS19 catwalk fashion trends. This used to be associated with the 1970’s hippie, flower power but in 2019, tie dye fashion is fresh, modern and vibrant with sophisticated colour combinations and fabric choices. Eco, sustainable fashion and natural dyes have influenced the regeneration of tie dye fashion. Hand spun and natural fibres combined with age old hand crafted techniques are desirable choices for consumers. Our hand spun, hand embroidered pashminas are dip dyed to our customers a twist on combining tie dye with timeless fashion pieces. 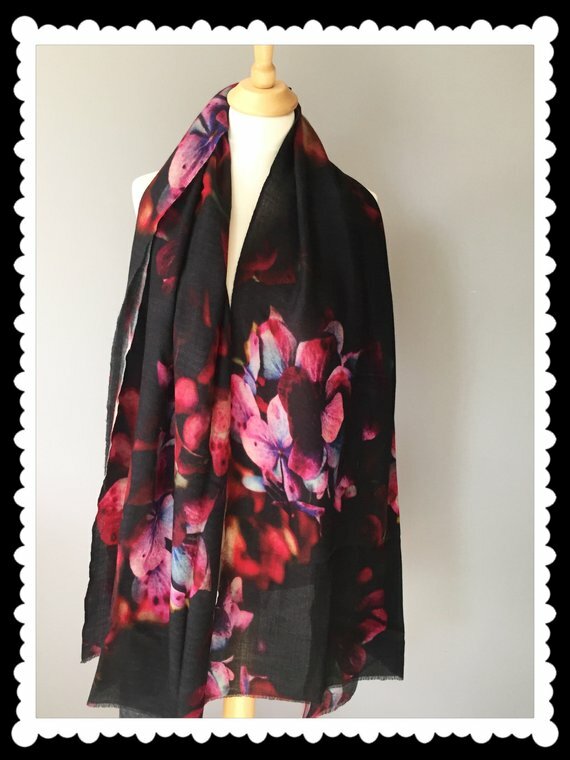 Posted on March 4, 2019 by anna stephen Murphy and tagged tie dye fashion trends tie dye pashmina fashion trends SS19 gift for her bridal shawl. 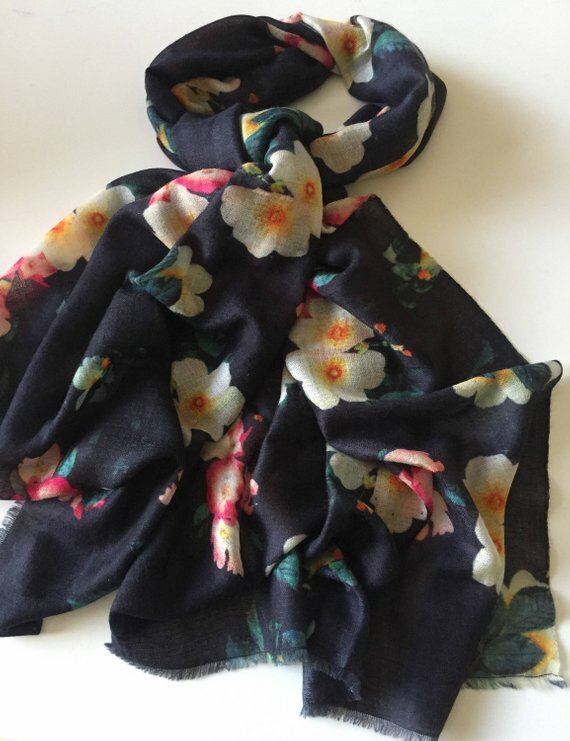 Pashmala has designed a stunning scarf with turquoise peacocks surrounded with roses! The vibrant shades of turquoise plumes and feathers combined with gorgeous pink roses make this a perfect wrap to compliment spring/summer wardrobes. Printed on super soft, ultra light cashmere ring shawl, makes this perfect to wear on crisp mornings or cool evenings. Posted on January 19, 2019 by anna stephen Murphy. Animal prints are very much in style for the AW18 season! Why not team up with one of pashmala’s uniquely designed animal print wraps? You can wear these with formal or casual wear! This wrap features a magnificent jaguar at the centre with cubs along side! Posted on September 26, 2018 by anna stephen Murphy. AW18/19 brings dark dramatic contrast with colourful florals on a black background, creating a dark decadent twist! A stunning array of hydrangea petals in hues of mauve, lilac, damson and fuchsia shades. 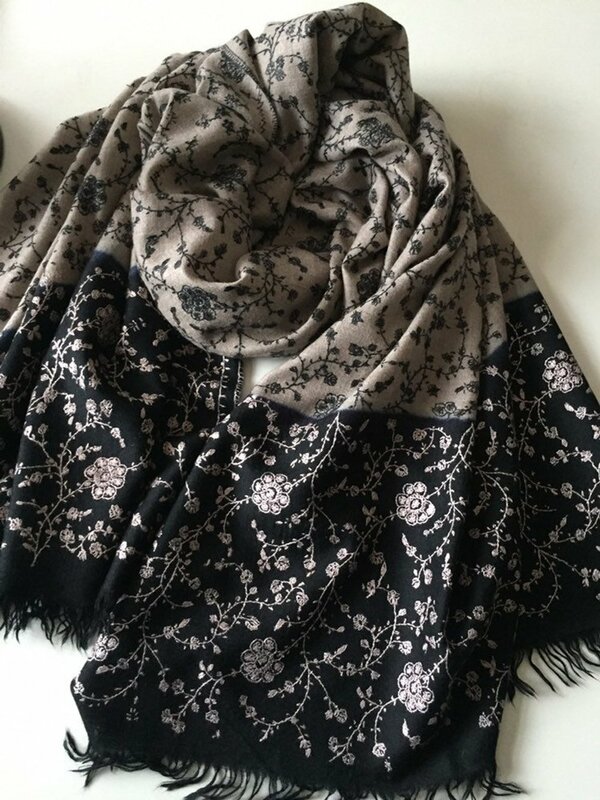 Luxuriously soft cashmere scarves with incredible loft! You won’t want to take it off! 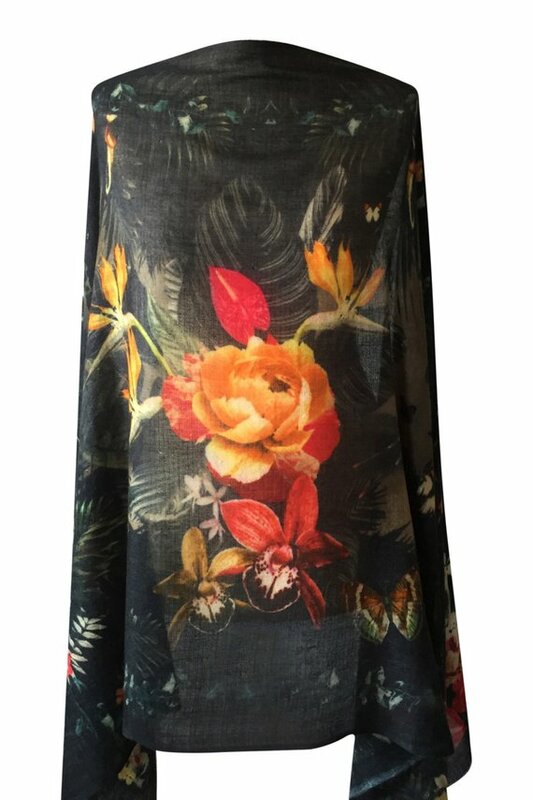 Large floral bursts printed on luxuriously thick cashmere yarn. Posted on September 17, 2018 by anna stephen Murphy.